Uubu 6 is easily one of the strangest places I've dined in the last year. Upon arrival the restaurant was nearly empty with the exception of the bar. The front door opens to a large hallway and a tantalizing bowl of candy. Centralized within the space is an amazing wine closet, but upon request, no wine list was available. The price points at Uubu 6 are remarkable and as Munch from the Post-Gazette notes, the portion sizes are intimidating. During our visit they were featuring a number of different pumpkin flavored beers for $3. 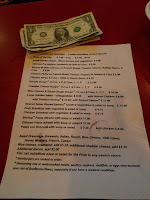 Entrees range from $8 - $12. A cup of soup will only run you $2. I dare you to find me a restaurant with tablecloths where you can get a cup of soup for $2. By way of comparison, a small chili at Wendy's will cost you $2.09. I'd like to point out that I'm not knocking on Wendy's chili. I happen to think their chili is awesome even if it is made with old hamburgers. 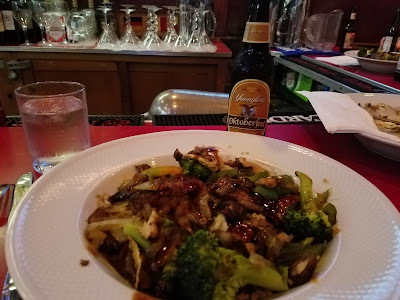 The nightly special was roasted pork with broccoli, shiitake mushrooms and fried rice in a teriyaki sauce. 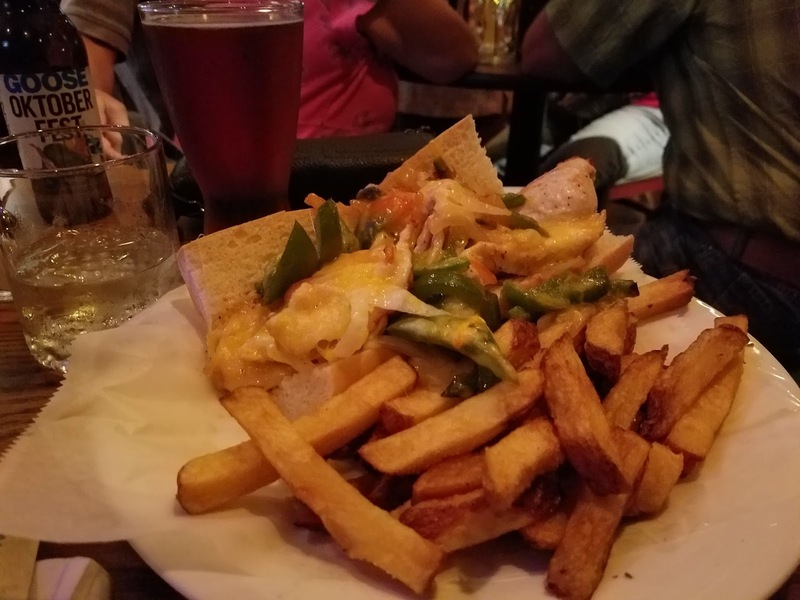 It also included a side salad. The picture and presentation do not do the dish justice. The portion size was enormous, the pork tenderloin was cooked flawlessly and the flavors were quite good. For the first time in as long as I can remember, I was unable to finish my dinner. A real tribute to Uubu 6. I would describe the food at Uubu as contemporary American style cuisine. 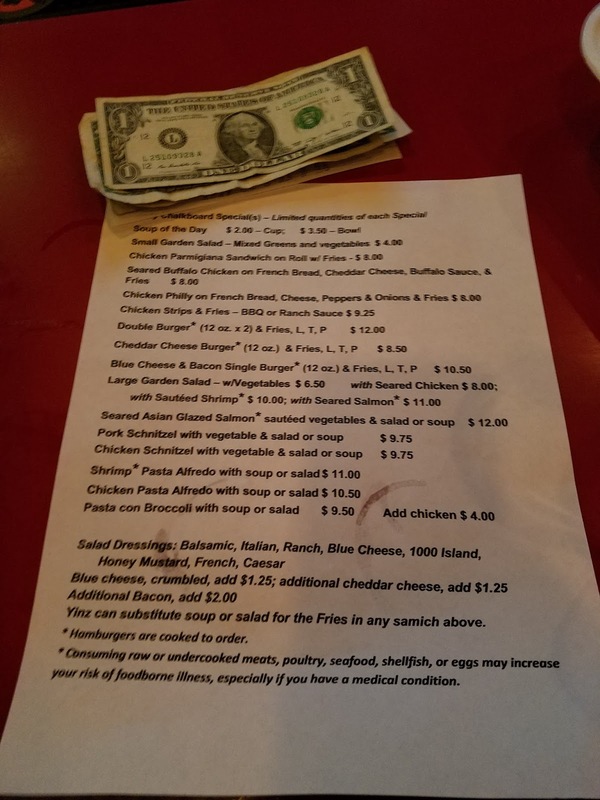 The menu features several different sandwiches and sides you would expect to see in most common diners. A few tips to keep in mind: they have variable hours and although it did not seem as though they were expecting any guests when we arrived, service was slow and spotty at best. However, Uubu 6 simply cannot be beat in terms of value.